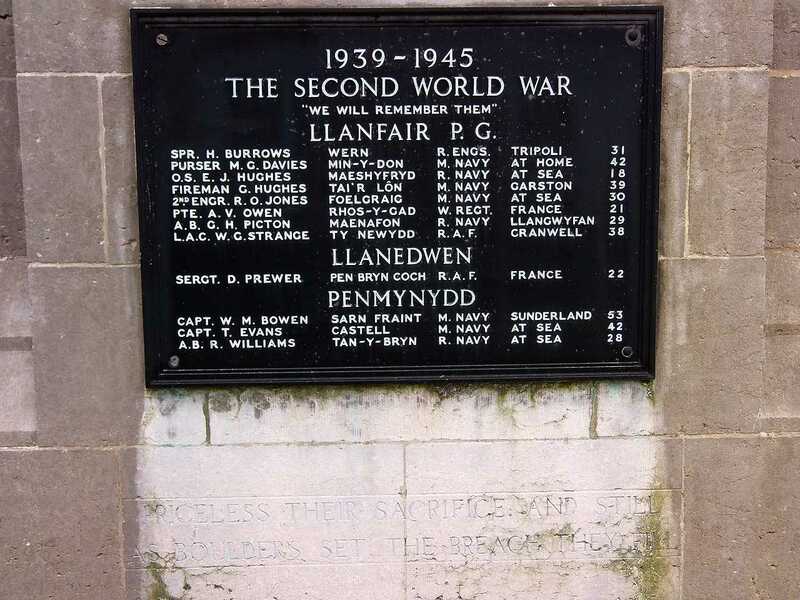 Llanfair Pwll Gwyngyll (Llanfair PG) War Memorial. I have enhanced this image to give a brighter, clearer view of the Memorial. 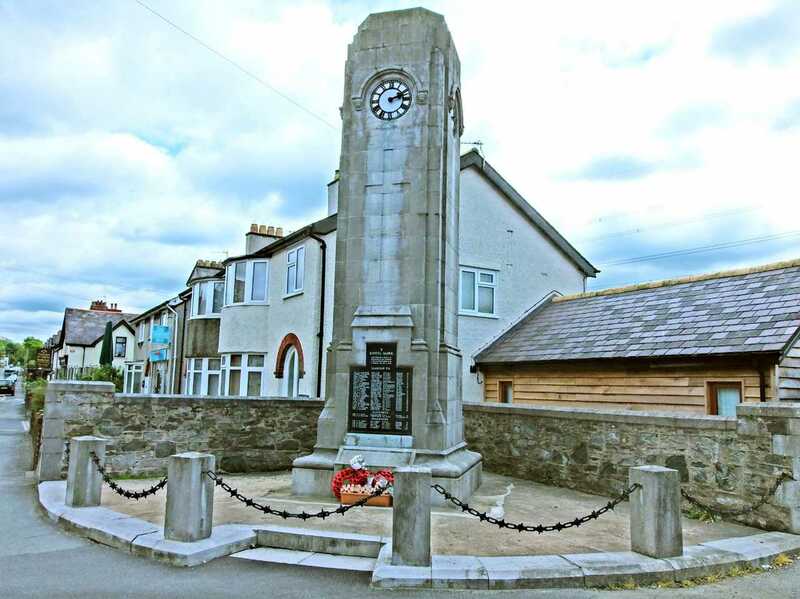 Anglesey, Llanfair Pwllgwyngyll War Memorial and Village. Llanfair Pwllgwyngyll is on the Island of Anglesey in North Wales. It is famous as having the longest place name in the world. 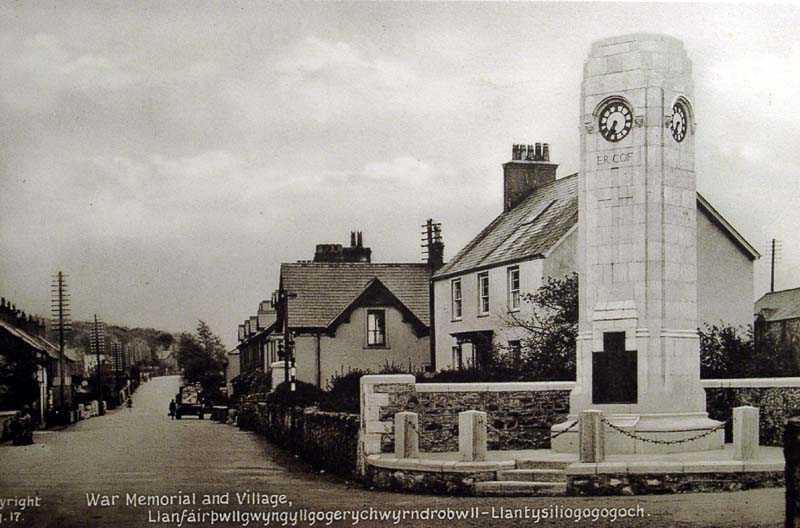 Llanfair Pwllgwyngyll - because it is spread over a fairly large area - is quite populous in Anglesey terms. It has one of the finest clock memorials on the island, albeit in dire need of a sandblast to remove years of grime. 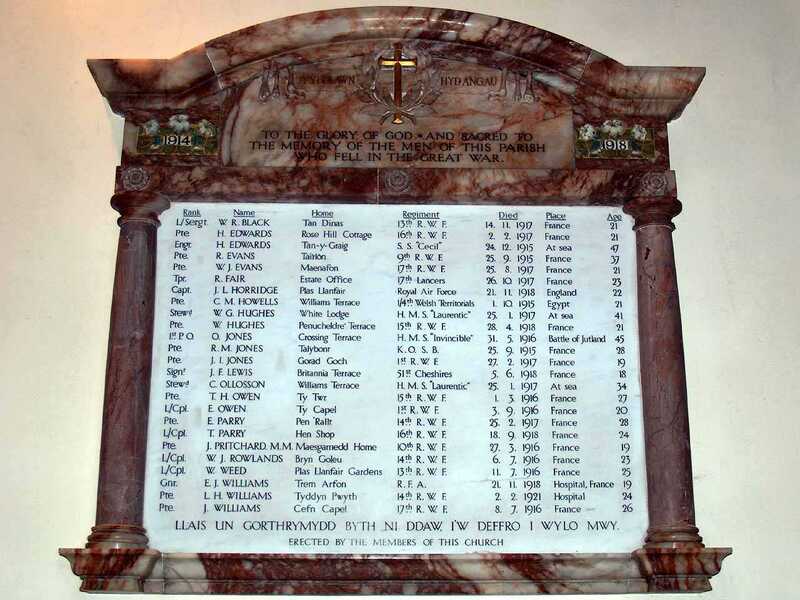 There are also war memorials in the Church of St Mary - the parish church. Some of you will be aware of a great disaster during WWI involving the S.S. Connemara ferry boat, where she was sunk in a collision near Carlingford Lough. 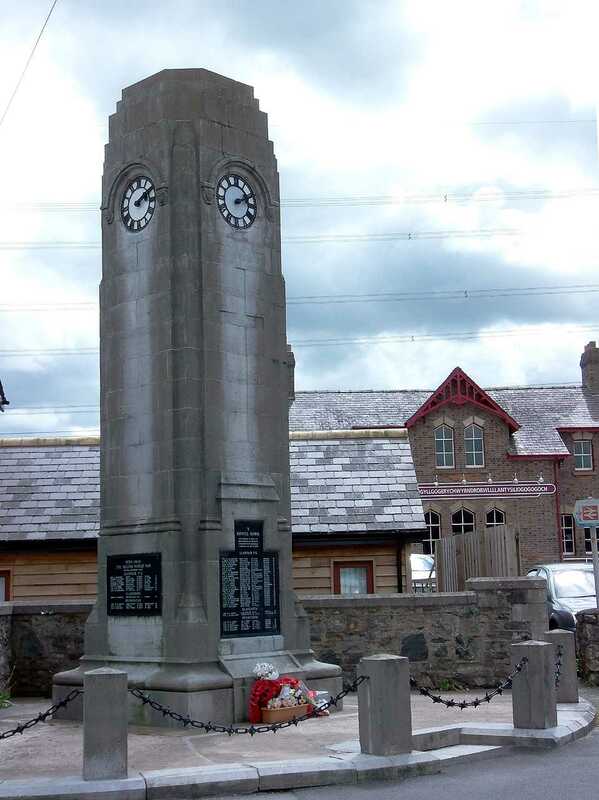 Even though this was not strictly a disaster caused by enemy action - it was an accident partly caused by the war (both boats having restricted lighting at the time) - nevertheless, as with the Holyhead War Memorial Committee deciding that they should appear on the Holyhead memorial, it was so with Llanfair P.G. I have included in the list below other casualties worthy of remembrance related to the town. Memorials in the parish church of St Mary's. 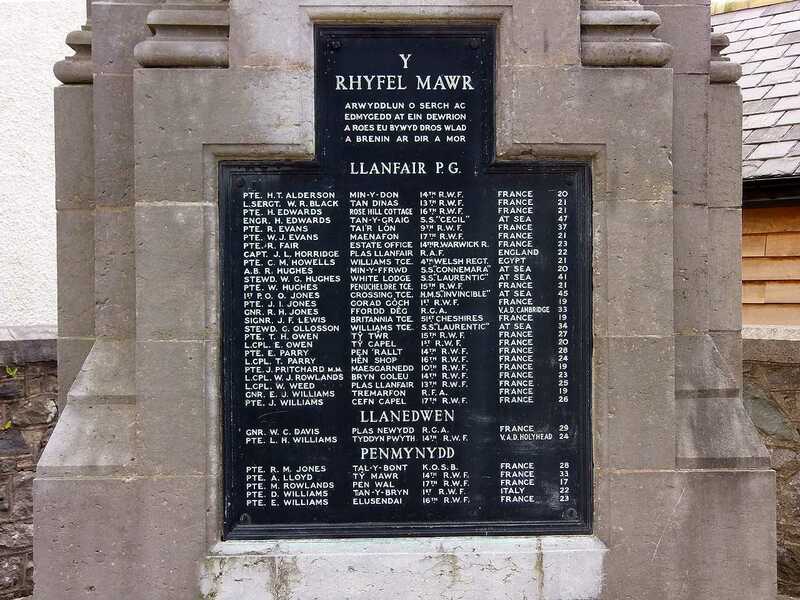 Llanfair Pwllgwyngyll, St Mary's Church WWI War Memorial. 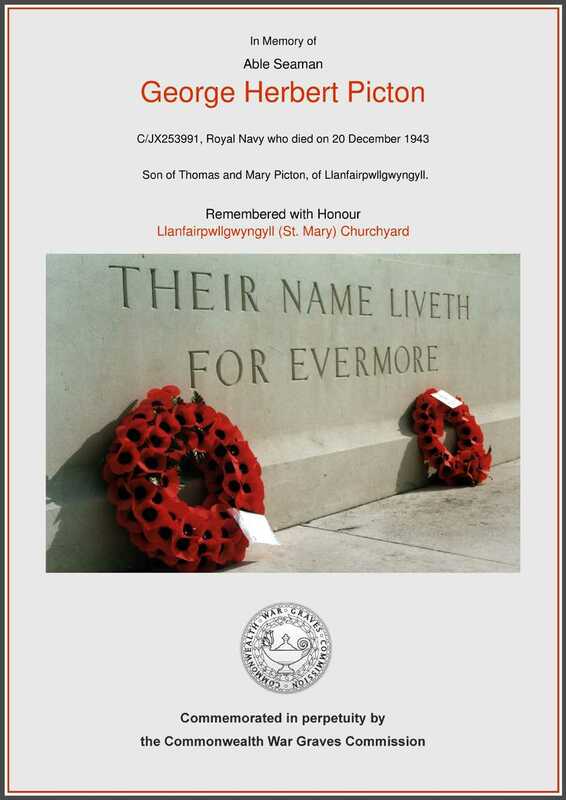 Anglesey, Llanfair Pwllgwyngyll, St Mary's Church - Memorial to Able Seaman G. H. Picton died 1943. 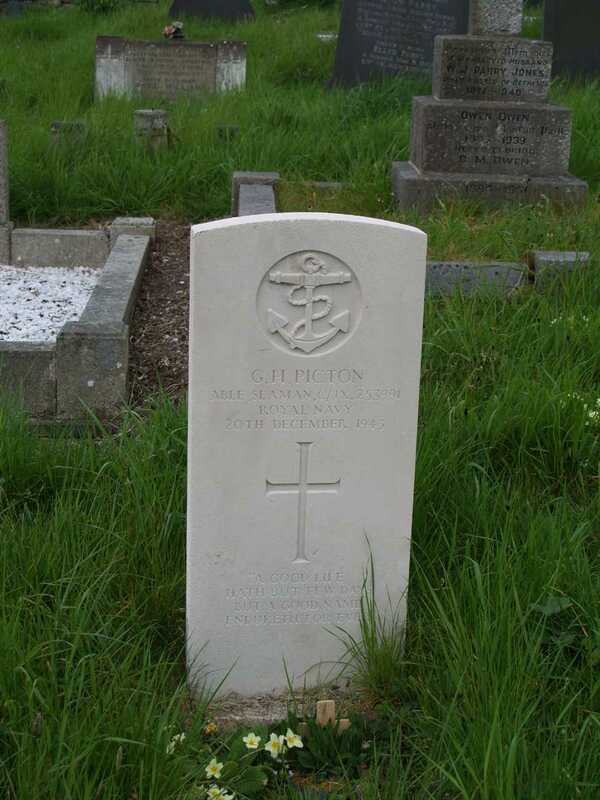 Able Seaman George Herbert Picton CWGC Memorial. As George Herbert Picton above was actually buried in the Church of St Mary, it is reasonable to assume that he was badly wounded, sent home, and subsequently died of his wounds. World War Two (WWII). They are arranged in alphabetical order by surname.